In today’s article we will be taking a look at a variety of jackets for men and women. But, unlike in the previews reviews, we have selected them based on a different criteria. It is finally time for reflective jackets. While some have been previously featured, we have also a lot of first-timers. They all vary when it comes to weather resistance, material and performance. 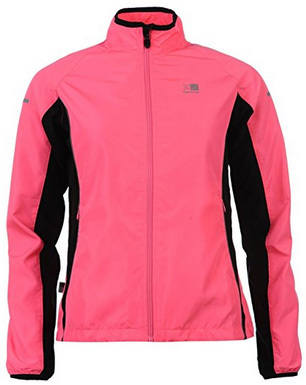 These jackets are best suited for running, but they can be also used for cycling and many other sports. We are starting with men’s jackets. Mountain Warehouse is a recurring brand in our reviews and this time we have picked Adrenaline. 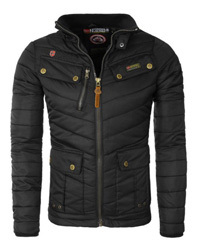 This is a 100% Polyester jacket, with waterproof and windproof outer lining, due to the IsoDry membrane. The inner lining is also 100% Polyester mesh lining, which is highly breathable. All seams are taped, which further seals the jacket from the elements. It comes without a hood and has a high stand-up collar, with chin-guard in front. The main zipper is also water-resistant and the cuffs are adjustable with Velcro fasteners. 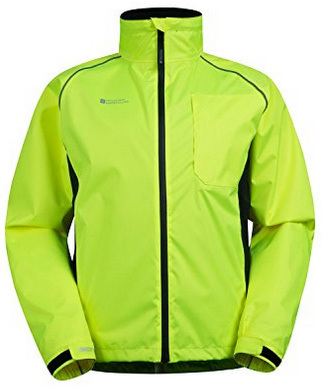 While weatherproof, the outer lining is neon yellow, highly visible and reflective. 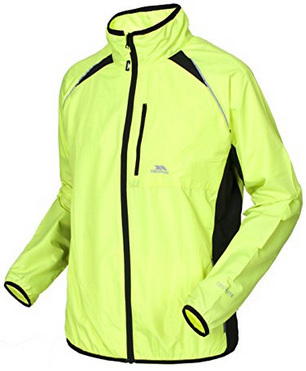 This is a jacket suitable for cyclists, runners and warm-weather hikers. There are zippers on the sides for added ventilation and it comes with one chest pocket to the front and one on the back. Speaking of which, the back hem is longer than the front, in order to provide better coverage while cycling. For you outdoor lovers, this next jacket by Time To Run is designed for a variety of outdoor activities. 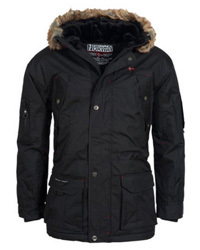 It is a high-performance windproof jacket, with a water-resistant outer fabric. It is suitable for light rain and overall dry weather. The reason for it not being fully waterproof is to maintain a high respiratory level. This is a great sports jacket because of this. There are two hand warmer pockets on the sides and one MP3 player pocket near the collar. The main zipper is water-resistant, as well as helped with a back placket. The cuffs are elastic and it comes without a hood, with only a short stand-up collar with chin guard. As for reflection, for those who are night runners and cyclers, the Neon Yellow color is best suited. However, there are several reflective trims all over the jackets and some reflective dots on the back and sleeves. The other two color options are: Navy blue and Black. 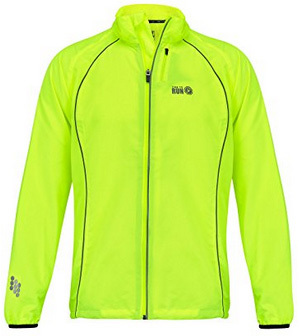 Next we have BTR‘s high visibility reflective jacket. 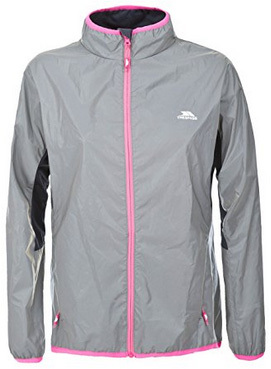 This is a 100% Polyester jacket, mildly weather-resistant but highly breathable, due to the mesh lining on the inside. While it is suitable for a variety of outdoor sports, its main purpose is to make you visible in low lights. 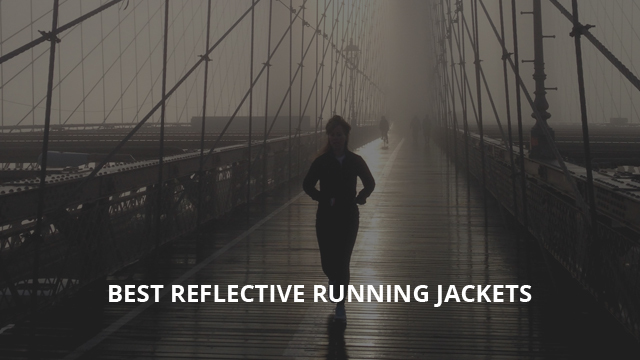 So you can wear it in the warmer months as a jacket for reflection. The material itself is bright yellow, which is reflective on its own. But, despite that, to push visibility to the next level, there are reflective panels on the chest, shoulders, sleeves and back. For practicality, there are three outer pockets with enough room for small belongings. It comes with elastic cuffs and elastic hem. Trespass’ Windbloc is a cycling / running jacket. It is mildly resistant to wet conditions, so it is best used in dry and warm weather. The collar is high and stand-up, but there is no hood on this jacket. The cuffs and bottom hem are both elastic for better fitting, as well as for providing some insulation. It is a windproof jacket with high breathability. The back on the inside is lined with mesh fabric for increased breathability. 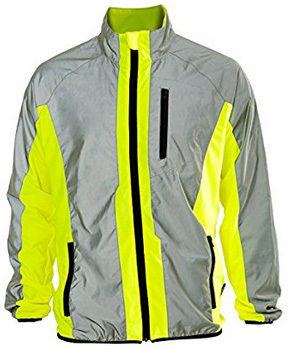 It has three zip pockets on the outside and comes in the color Yellow, treated to be highly reflective and visible. Karrimor‘s running jacket starts off the women’s selection. It is a stylish jacket made of 100% Polyester. There is a medium-height collar, without a hood. 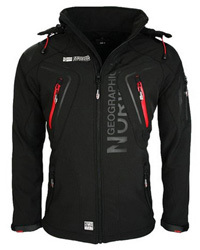 The main zipper is water-resistant as is the jacket itself. This is a jacket designed to be breathable and it is also very lightweight. The cuffs are elasticated and the bottom hem is adjustable with drawstrings on the inside. There are two zip pockets on the outside. For reflectiveness, both color options, Black and Fluo Pink, have special reflective trims on the sleeves and back. The Fluo Pink option, however, provides better visibility at night due to the fabric being lightly fluorescent. Vizion Wind Lite by Ronhill comes with Activelite fabric that makes it highly breathable. It is suitable for dry weather mostly, but you should be fine in light rain. This is a very lightweight jacket to wear and has two zipper pockets on the sides. The cuffs are half-elasticated, to keep everything a bit looser and to allow better air flow. 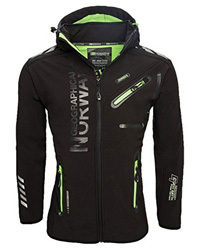 The design is very sportive and it makes a good outdoor jacket, especially for walking and running. There are eight color options, all of which come in interesting combinations. The main body colors are: Fluorescent yellow, Magenta, Fluorescent pink, Lilac, Wild berry and Elderberry. All of them are highly reflective on their own, but also have reflective tape and trims placed on the body. 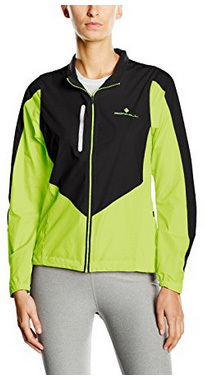 Much like the men’s version featured previously, Mountain Warehouse’s Adrenaline jacket for women is also highly reflective and made of 100% Polyester. It is a beautiful piece with shaped waist that gives it a very feminine look. The fabric is waterproof and all seams are taped for better water-resistance. It is windproof and also very breathable. The cuffs are adjustable with Velcro and the hem is in a low-high cut for better coverage. There is one large pocket on the chest and it has a high collar, without a hood. 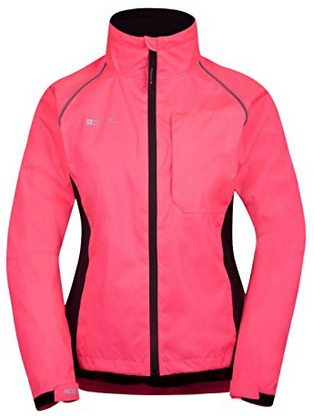 It is lined with mesh fabric on the inside and comes in two colors: Bright pink and Neon Yellow. And lastly we have chosen the Lumi Active jacket by Trespass. It comes in the color Silver, which is highly reflective and provides excellent visibility. The material is water and wind resistant, while being quite breathable as well. It is best used as a top-layer jacket in the dark during lower temperatures, or used on its own throughout Spring and Summer. The zip, hem, cuffs and collar top are in the color Pink for contrast. The hem is slightly elastic, as is the collar, while the cuffs are fully elasticated for a better fit. There are two zip pockets on the sides and there is chin guard on the collar for protection. Previous Article← What is Elastane (Spandex) Fabric? How Is It Used In Jackets?